Dr. Don Shirley (Mahershala Ali) is a world-class African-American pianist who's about to embark on a concert tour in the Deep South in 1962. In need of a driver and protection, Shirley recruits Tony Lip (Viggo Mortensen), a tough-talking bouncer from an Italian-American neighborhood in the Bronx. 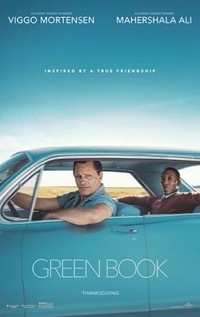 Despite their differences, the two men soon develop an unexpected bond while confronting racism and danger in an era of segregation.